The last few months have brought us a spate of Comcast horror stories and Comcast-hate. Most recently, a recording of a subscriber spending 20 minutes trying to disconnect his Comcast service has prompted some investigating into Comcast’s service and employment practices. Adrianne Jefferies at The Verge has been running an excellent series called “Comcast Confessions” based on hundreds of interviews with current and former Comcast employees showing that these long-standing customer service problems are not a blip but the result of systemic problems and deliberate business and strategy decisions pursued by the company (first three articles published so far here, here and here). I want to highlight this article in particular that puts together the pieces and shows how the TWC acquisition makes things worse. From an academic standpoint, the wealth of data coming to light provides a great study on how conflicting economic incentives and difficulties in melding together a giant company by merger create awful customer service despite the persistent efforts of Comcast top management to improve customer service. But this blog isn’t about industrial organization and business practices for the fun of it. For me at the moment, the hot question is: does Comcast’s awful customer actually provide legal grounds for the FCC to block the Comcast/TWC merger? Actually, yes. And I don’t just mean in the political “so many people hate Comcast the FCC can designate for hearing and survive Comcast’s political pushback.” I mean in the legal “the FCC has jurisdiction over this and should designate, as an issue for hearing, whether Comcast’s proposed acquisition of Time Warner Cable is contrary to the public interest and in violation of various provisions of the Communications Act” sense. And yes, I get that customers are pretty much equally dissatisfied with TWC, which would prompt one to think this should be a wash as “not merger specific” (i.e., service is crappy before merger and crappy after merger, so who cares — other than customers?) However, as I shall elaborate below, the unique nature of Comcast’s pervasive problems — combined with several other factors — makes this a rare (but not unprecedented) case where the nature of the problems is both merger specific and subject to FCC review. And while I would not normally suggest that such problems alone could block a merger, it becomes one more factor in a deal that already has a lot of problems. At a minimum, it becomes one more set of potentially pervasive behavioral conditions that would prompt Comcast to walk away whether or not the FCC actually designates for hearing, especially if lots of consumers write to the FCC about it (hint, hint). In general, lousy customer service doesn’t figure into antitrust review except to the extent it shows a concentrated market with market power. That is to say, the only way a company like Comcast can get away with having this much dissatisfaction from its customers is if they have market power. On the political side, lots of angry customers figures into the political process and makes it easier to deny a merger (because people haaaaate you so very, very much) and makes it harder for politicians to support a merger. Those are useful, but the whole way in which the political interacts with merger review is already fairly indirect. What I want to focus on here is specifically the FCC review. What Does Comcast Customer Service Have To Do With FCC Merger Review? When looking at what the FCC cares about during this process, we need to answer two questions: 1. Does it fit within the FCC’s statutory jurisdiction; and 2. Is the issue “merger specific,” as opposed to a general industry-wide problem the FCC should resolve by rulemaking for everyone. In addition, if the applicants brought up the topic in the first place as a public interest benefit, it becomes fair game. Comcast hits a rare trifecta here. Comcast’s customer service has hit legendary levels of badness, directly correlated to its exponential growth. Revelations of Comcast’s awfulness and practices raise legitimate questions as to whether Comcast has become too big to provide acceptable levels of service — a problem the merger will only aggravate further and extend to Comcast’s new customers. The Basis For FCC Jurisdicition. So what specific provisions of the Communications Act govern here? We start with the provision directly on point. 47 U.S.C. 552(b) requires the FCC to establish “standards by which cable operators may fulfill their customer service requirements.” The law requires these standard to “include, at a minimum,” (among other things) standards governing “installations, outages and service calls” and “communications between the cable operators and subscribers (including standards governing bills and refunds)” (emphasis added). So the Communications Act rather clearly and unambiguously directs the FCC to care about precisely the sort of “service calls from hell” we’ve been hearing are routine at Comcast. In addition, Comcast’s conduct raises concerns under other provisions of the statute. 47 U.S.C. 521 states that the purpose of the Cable Act is, among other things, to establish standards “which assure that cable systems are responsive to the needs and interests of the local community.” Furthermore, I would argue that – while some modest efforts to mollify angry customers and compete with rival offers is fine – essentially refusing to disconnect a customer trying to switch to another service constitutes a violation of Section 628 (47 U.S.C. 548) as an “unfair” method of competition. There is also the impact on broadband adoption pursuant to the ever popular and flexible Section 706 (47 U.S.C. 1302(a)). Finally, and most basically, the core of the “public interest standard” that governs FCC review is a basic question of “can you do the job or not in a way that is not substandard or painful so that customers are worse off after the transfer.” While no one will claim that Time Warner Cable customers are a happy and contented bunch or that their customer service is stellar (they usually rank either just ahead or just behind Comcast on the various ‘most dissatisfied customers/most hated business’ rankings), Comcast’s service problems appear to be a whole ‘nother order of magnitude higher. OK, The FCC Has Authority, But Is This Merger Specific? It’s not enough for the FCC to have authority to address an issue. For the FCC to address the issue in a merger, rather than through a complaint or rulemaking, the FCC requires that the issue be “merger specific.” That is to say, something about the merger itself either creates or aggravates the problem. Or, put another way, how does the merger make the world a worse place rather than maintaining its current level of suckage? In Comcast’s case, there appears to be lots of evidence that we are not talking about some bad apples in the bunch. Comcast has a systemic problem that gets worse as it grows, and upper management seem both utterly clueless as to the extent and utterly unable/unwilling to address the fundamental issues driving the increasingly worse service. Comcast has apparently become “too big to manage.” The trend of Comcast dissatisfaction goes back years, and is astoundingly consistent (see here, here and here), and therefore cannot be dismissed as simply an overreaction to the merger. That makes this absolutely merger specific, since – assuming the evidence on investigation bears this out – it is Comcast’s penchant for absorbing millions of customers at a gulp through complex transactions like this (which involve not merely acquisitions, but system swaps) that have created the current death spiral on customer service. 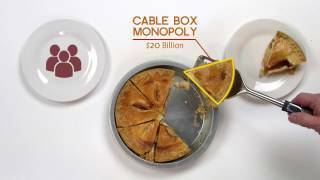 So What Does All That Mean For The FCC’s Merger Review? If customer service issues (and Comcast’s outrageous price gouging on fees, which I didn’t even mention) were the only issues with this merger, I’d say that we were maybe looking at possible conditions. But Comcast already faces a steep uphill battle in light of the significant resistance to the merger on more traditional market power grounds. Nor are Comcast’s customer service problems within the range of normal, even for an industry as generally loathed as the cable industry. Comcast stands in a class by itself. 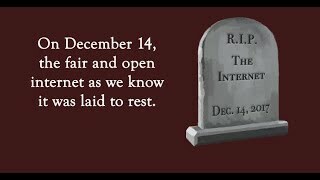 Hopefully, therefore, the FCC will actually do something here. Of course, they are a lot more likely to do something about this if they hear from an outraged public. Happily, Public Knowledge has an Action Page over here you can use. And a contest to remix bad Comcast customer service calls here. An extended version of this post was originally published on WetMachine.com.